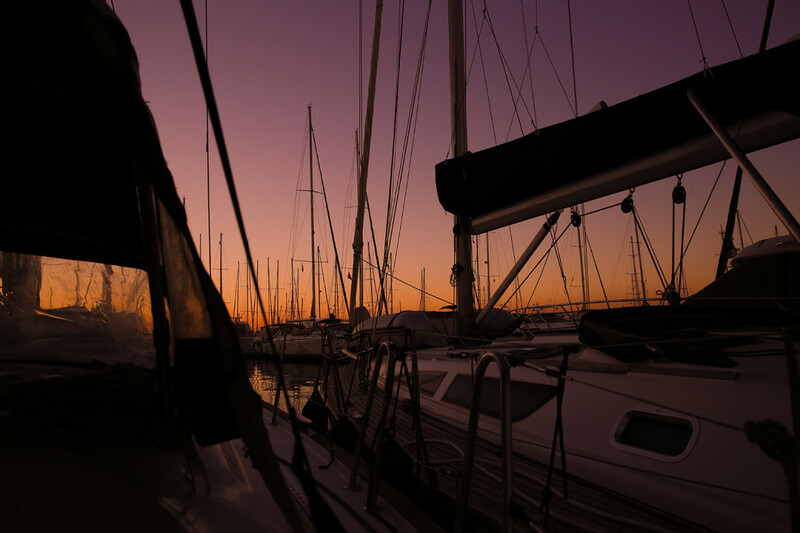 While I’m working on the actual sailing photos, I wanted to give a peek at the sunrise I experienced on my fifth day in Greece. I had settled in quite nicely into my airbnb apartment in the Omonoia part of Athens, took a spa day, and now ready to sail. I remember the struggle of waking up at the crack of dawn to make the bus and by metro. 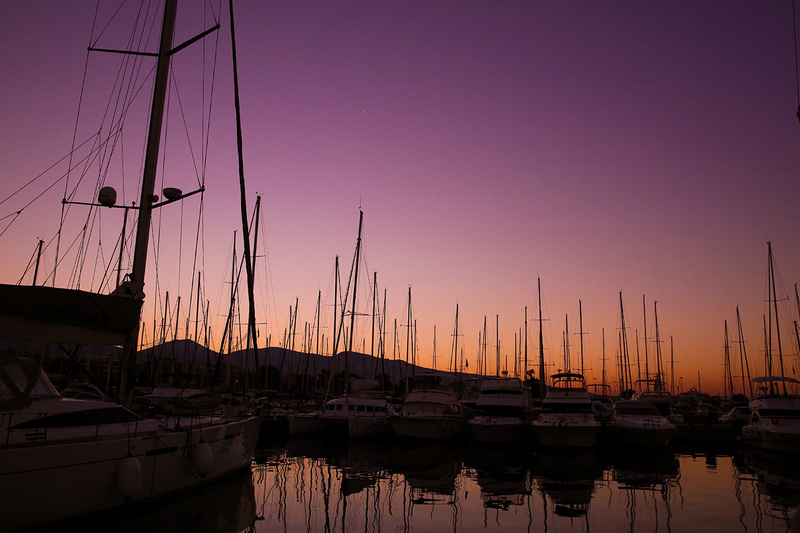 We had a bit of a drive down South to the marina in Piraeus (city not port) from Athens. I managed to snap a few bleary-eyed photos as the sun woke up like the rest of us and crossed the horizon. Yes, I love chasing the sun, and I never want to stop experiencing that kind of magic — awake or just barely! Speaking of things I love, I’m pretty sure I was a seafarer in another life. It always calls out to me (could be the Sirens), wherever I go. The feeling of liberation from a good sail is one I never will forget. Did I mention this will be my first time on a sailboat? I’ve been on other types of water vessels — catamarans, speedboats, yachts, ferries, ships, etc, but not a sailboat!